Is beauty always a proxy for genetic health and fitness? Charles Darwin didn't think so. Richard O. Prum is an evolutionary ornithologist with broad interests in avian biology. He is the William Robertson Coe Professor of Ornithology at Yale University, and the Head Curator of Vertebrate Zoology at the Yale Peabody Museum of Natural History. 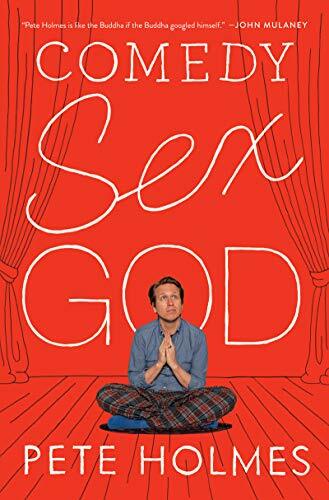 His latest book is The Evolution of Beauty. RICHARD PRUM: One of the most aesthetically extreme birds is the Great Argus, a kind of pheasant found in Southeast Asia. After Darwin wrote The Origin of Species he was challenged by the Duke of Argyll in an anti-evolutionary tract to examine the feathers of the Great Argus Pheasant, which included these beautiful golden spheres like a three-dimensional optical illusion, arrayed on the wing feathers. Indeed, Darwin spent a long time trying to hypothesize how these beautiful spheres could evolve from intermediate states through the process of mate choice. In the coming century the first person to ever see, the first scientist ever to see the display of the Argus Pheasant was William Beebe. He traveled to Borneo, where he spent months studying the bird in the wild and only getting occasional glimpses. First, he found a male territory, where the six-foot-long male pheasant displays in an area about the size of a quarter of a basketball court. He clears the soil and waits for a female. Well, when Beebe built his first blind or hide right next to the display site, the male abandoned it. Later he tried building a tree house over another one, and the male abandoned it as well. In his third attempt, he had his assistants dig a foxhole in the ground right by the display site, and every morning he got into the hole and was covered up with brush, and he spent all day hiding inside of a foxhole in the forest in Borneo. After a week, finally, a female visited this male and he was able to see the amazing display of the Argus Pheasant. In this case, what happens is the male opens his wings and arrays his wing feathers like a blown-out umbrella, creating a hemisphere that is suspended over the female. In this case, the golden balls on his wing feathers are suspended in the air, shaking, right over the female's head. It's an amazing and striking display. How could this have evolved? Well, Beebe, when he looked at them, noticed that the hen, the Argus Pheasant female, was basically stoic or unresponsive, and he wrote that "it's clear to me that any aesthetic impact of that display is wasted on that little hen." In other words, he couldn't imagine that she was having the kind of aesthetic experience that he was. Of course, he had been spending months in search of this bird, and a week sitting in a hole in the ground; he's having a religious experience! He imagined that the bird should be dramatically moved. But I think he got it fundamentally wrong. In fact, behind every evolved ornament in nature, like the Argus Pheasant display, there's an equally elaborate and coevolved cognitive concept about what is beautiful. The better way to imagine the female's behavior is like a connoisseur or art collector at an art exhibition. How do they regard this new art? Well: critically, with some discernment. And this is exactly the attitude of the Great Argus female, because she, through her choices, is really responsible for the elaborate evolution of those ornaments. Now, is the display of the Great Argus an honest signal of male quality, or merely beauty happening? It's an interesting question that still isn't resolved. But I believe that there are so many dimensions to this ornament that it is unlikely that it could communicate quality. In this case, all of the different golden spheres, their array over the female, the many other elaborate details of display, each one of them could only evolve as an honest indicator of equality if they were independently associated with additional information about mate quality. Each cost would only evolve if it provided information. So I think it's extremely unlikely that aesthetically extreme displays like the Argus Pheasant evolved because of honest advertisement or adaptive Wallacian mate choice. I think they're another fantastic example of beauty happening. The Great Argus Pheasant is a six-foot-long bird with elaborate ornamentation on its wings, including golden orbs that create a 3D optical illusion. It fans its feathers in a full hemisphere above the female hen as part of its mating display. Is all that beauty just a signal of fit and healthy genes? Perhaps not, says Yale ornithologist Richard Prum. 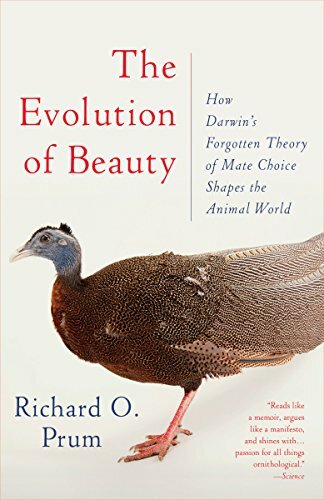 The 'beauty happens' hypothesis, or aesthetic evolution by mate choice, was an idea first proposed by Charles Darwin—but it is still not accepted as part of standard evolutionary theory. Prum reasons that the kind of extreme, impractical beauty seen in animals like the Great Argus Pheasant is a result of aesthetic mate choice rather than survival of the fittest. Perhaps some species evolved such beauty because it pleases the animals themselves.